Do you look through Walther's Monthly Sale Flyer or their weekly Bargain Depot? 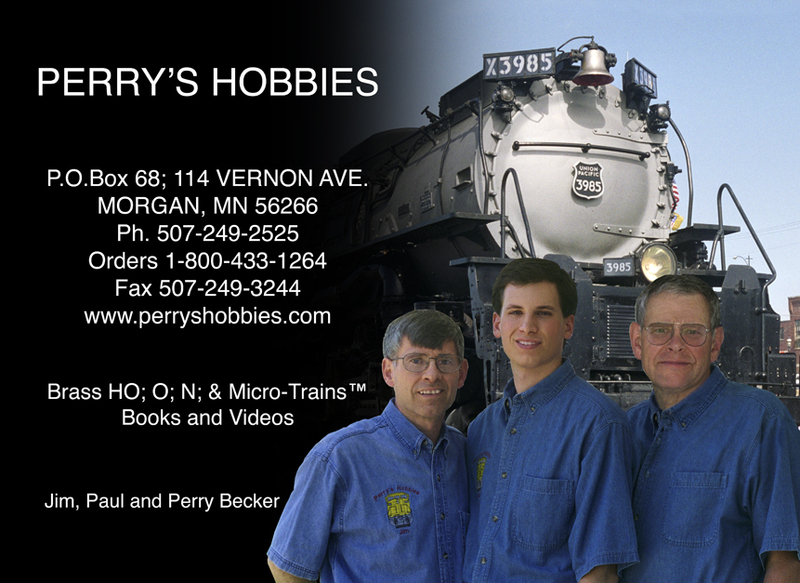 If you do, did you know that you can get those items through Perry’s Hobbies? Yep, you can! AND the best part is, we pass on a discount to you! Our price will be the same or in most cases LOWER than the advertised Walthers SALE price! We will need the full item number and a description. A page # too if item is in the monthly Flyer. As long as it is still in stock at Walthers, we can get it for you. Once it arrives, it's your choice if we should ship it to you or you can pick it up at a train show.